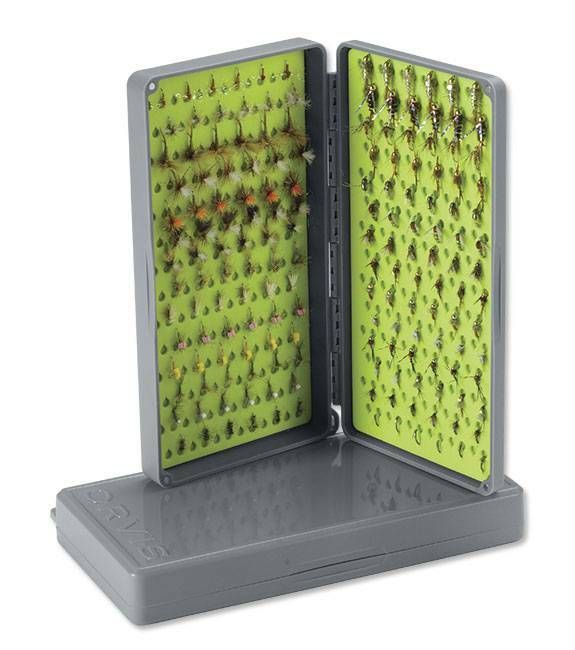 A collaboration between Orvis and Tacky to create an exclusive high-volume, low-profile, and highly durable fly box. Tacky mats are silicone that hold flies tighter and are much more durable with excellent resistance to the elements. Polycarbonate box has a slim profile, won't warp, takes up less room in vest pockets and has a secure latch-free magnetic closure. 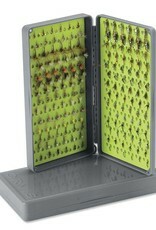 Facing mats offer a capacity of 336 flies. Teardrop and slit designed to hold size 10 to 18 flies, but will hold larger and smaller flies with ease.